There is one asset under your disposal that can be used to to massively improve the visibility for your entire plugin portfolio and is often neglected. That is your plugin’s readme.txt file. You can use it to reference all other plugins (or only those relevant ) at the front page of your plugin page in the WordPress repository which has huge exposure. Since this is the text that almost everyone reads before downloading, people will have a very convenient way to find out about your other work. And if your plugins are great all the better – you have just given an easy way for users to download them all. 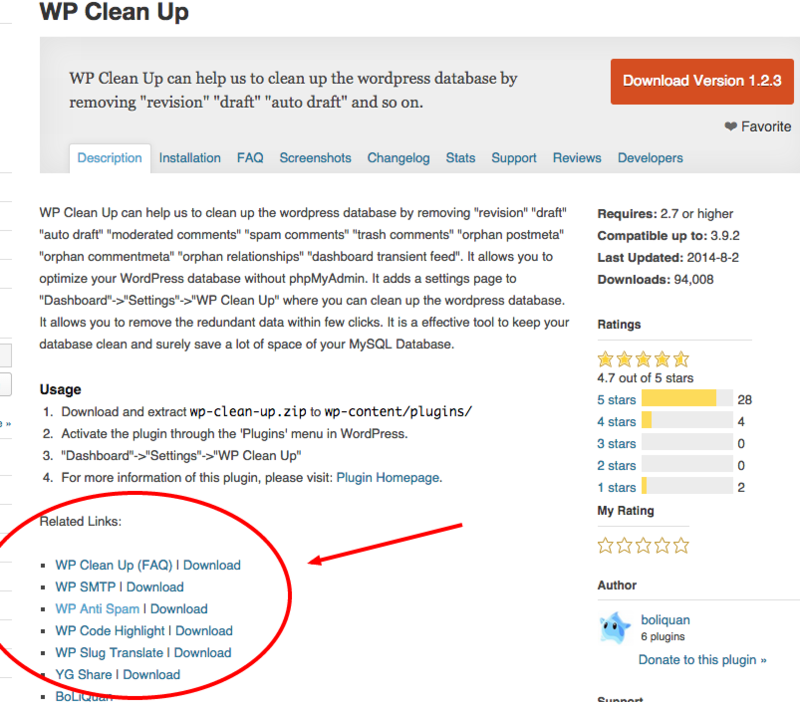 Let’s take a look at an example of a WP Clean Up plugin doing this. Basically a list to other plugins with the added convenience of a direct download button (useful when you make especially good plugins). I think that WordPress.org repository could automate showing related plugins in the future (either showing other plugins from the same author or generally related plugins). Until that happens we’ve built a technology demonstration for an advanced repository statistics and relations at managewp.org plugins community project site – check for example the plugin page for WP Clean Up on ManageWP.org. The readme.txt offers numerous other opportunities. One of them is providing social/branding proof for your plugin. 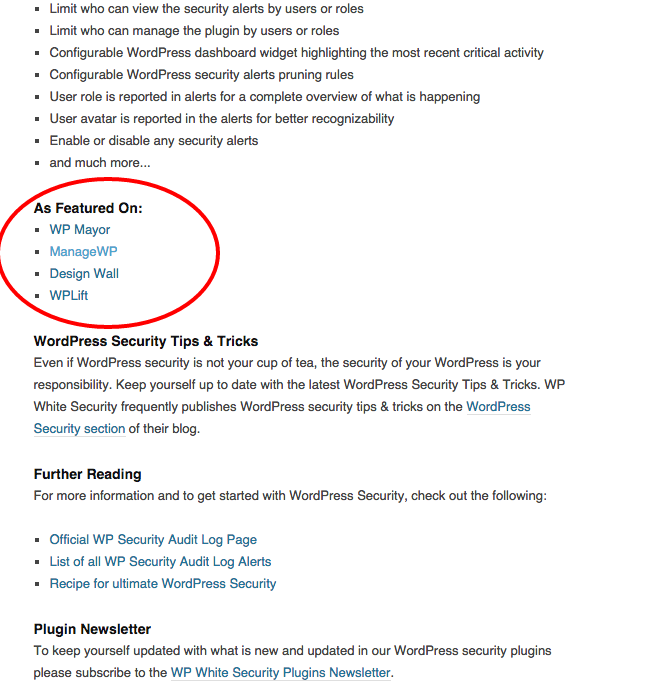 Check this creative example on WP Security Audit Log page. The plugin uses its readme.txt for many other purposes and maybe in had gone a tad bit too far, but you get the picture. Very interesting idea! Nothing like cross promotion of your products. I was having some slightly long page load times and after cleaning up, it took off. does what it says. Noticed one thing in your post link missing I. Nice article ! and i think u missed “i” in permalink ? Thanks for this Guide ! Help me a lot ! Would appreciate your feedback on where we went a bit too far. I’m all in for any type of feedback. Thanks. Perhaps too much information given in the readme.txt, not all is necessary relevant for the user.